A newsletter is a great way to keep people in the know. This is a great marketing tool for businesses, non-profits, clubs, societies, associations, church groups and anyone else who wants to reach a large audience. Color FX Web is proud to offer superior newsletter printing to print resellers in the design, marketing, advertising, and retail print industries. We’re here to help your customers deliver their message in an efficient and visually pleasing manner. Many companies and groups have especially large mailing lists, spanning hundreds or even thousands of people. Sending periodic newsletters is a great way to keep people up to date on the latest happenings. However, most don’t have the capacity to print high-quality documents in bulk. 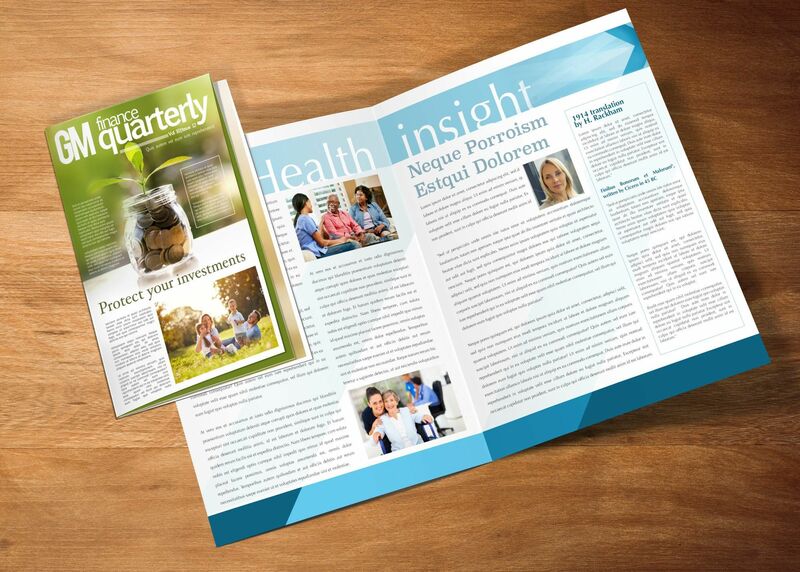 Our newsletter printing is designed to help your customers get their message out in a quick and efficient manner. Your customers spend a lot of time crafting great content for their newsletters, so you can count on us to deliver a finished product that matches the quality of the content. After all, the focus of any newsletter should be the information provided, not glaring distractions caused by a bad print job. Color FX Web is known for providing sharp and high-quality newsletter printing. Our team has the experience needed to get the job done right every time. When you partner with us for your customers’ newsletter printing needs, you can be certain that you’re in good hands. We place the highest emphasis on quality, because we know how frustrating it is to receive a newsletter that’s not at all what you asked for. It’s our goal to provide you with a flawless finished product that you can be proud to deliver your customers. We don’t offer the fastest turnaround times in the business — and there’s a reason for that. Our team always meets deadlines, but we take the time to get the job done right. It’s certainly faster to take a little extra time getting it right on the first try, than having to start over because mistakes were made. We know you have a lot of options to choose from when searching for a wholesale newsletter printing provider, so opt for one that’s really up for the job. At Color FX Web, we take pride in the quality of our work. Our team wants your customers to be satisfied with their newsletter as much as you do. We stand behind the quality of our work and strive to offer the best possible customer service. You’ll always speak with a live representative from our company when placing an order, to make sure we get every last detail right. 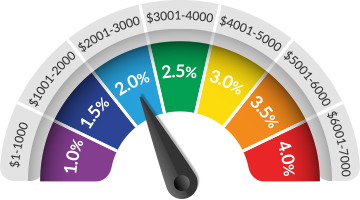 It can be very frustrating to try to figure out how to use an automated system you’re not familiar with and we don’t want to put you through that! We’ll also assign you to a dedicated account representative you can contact at any point during the process. Choose Color FX Web for all of your customers’ newsletter printing needs! Standard 4 Pager Newsletter Printing: Printed Full Bleed on 100# Gloss Book with AQ or Dull (Princess Silk) Coating OR 70# Offset without Coating, cut to 11"x17" Fold to 8.5"x11". Standard 6 Pager Newsletter Printing: Printed Full Bleed on 100# Gloss Book with AQ or Dull (Princess Silk) Coating OR 70# Offset without Coating, cut to 11"x25.375" Fold to 8.5"x11" and Fold Again to 5.5x8.5. Standard 4 Pager on Cover Stock Newsletter Printing: Printed Full Bleed on 100# Gloss Cover with AQ, U.V. (Royal Shiny) or Dull (Princess Silk) Coating, cut to 11"x17" Fold to 8.5"x11". Standard 6 Pager on Cover Stock Newsletter Printing: Printed Full Bleed on 100# Gloss Cover with AQ, U.V. (Royal Shiny) or Dull (Princess Silk) Coating, cut to 11"x25.375" Fold to 8.5"x11" and Fold Again to 5.5x8.5. Mailing Services fee for Brochures: List processing fee of $45 for one list and $15 for each additional list, $79 per 1000 Inkjet charge and a postage fee (refer to our Direct Mailing section for details). 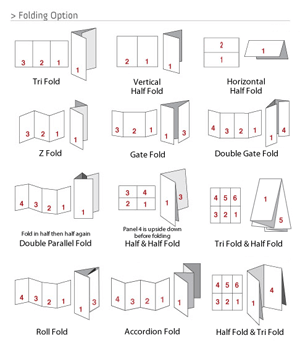 Folded Brochures are eligible to mail at either Letter or Flat rates, depending on the final/folded size. 11 x 17 folded to 8.5 x 11: 100# Gloss Cover, 4 pager: 2,500 qty. - 500 per box - 5 boxes @ 38lbs. = TOTAL weight of 190lbs.